The Fantasia International Film Festival and Title 66 Productions are excited to present the remount of the acclaimed The History of the Devil, written by prominent author, film director and visual artist Clive Barker, playing at Place des Arts’ Cinquième Salle for three shows only, August 1-3. This visually stunning piece is the vision of Title 66 Productions’ Co-Directors Jeremy Michael Segal and Logan Williams. The History of the Devil tells the satiric tale of the Devil's trial at the hands of the human race, with which he's shared the world for millennia. If he can prove that it is humanity that is indeed culpable for his alleged crimes, he may return to paradise forever. In a theatrical eruption of darkness, philosophy and humour, a seductively wide range of characters travel through time to tell the Devil's story. Whether it is angels falling from heaven in a 1212 BC Russian winter, a decaying prison cell holding accused witches in Lucerne, or a boxing match in England with stakes high enough to make a man out of a machine, each testimony seamlessly transports the audience to that time period and reveals the Devil wearing a different skin, until, by the end, he sheds them all. The History of the Devil exposes Lucifer as a fallen angel so like ourselves. Does the Devil deserve paradise? Do any of us? DAZED & CONFUSED w/ Wiley Wiggins Live! Film POP’s Annual Bike-In Fundraiser! with WILEY WIGGINS in person! One of the best (and most prescient) ensemble casts of the 90s comes together for Richard Linklater’s semi-autobiographical film about a divergent cross-section of Texan teens on the last day of school in 1976. The film became an instant cult hit, and 20 years later, actor Wiley Wiggins, who melted hearts as the beleaguered freshman Mitch Kramer, joins us for the Bike-In as we raise a glass to a beloved screen classic and raise some funds for this year’s Film POP festival programming. The film will be screened with French subtitles. In this special project created especially for POP Montreal, 10 female media artists – Erin Sexton, Ruby Kato-Attwood, Malena Szlam, Kara Blake, Elisabeth Belliveau, Leslie Supnet, Doreen Girard, Irene Bindi, Gwen Trutnau and Andrea Roberts, with veteran performance/video artist Kathy Rose acting as project mentor – were commissioned to make a film or installation piece that addresses the concept of Electronic Voice Phenomenon. 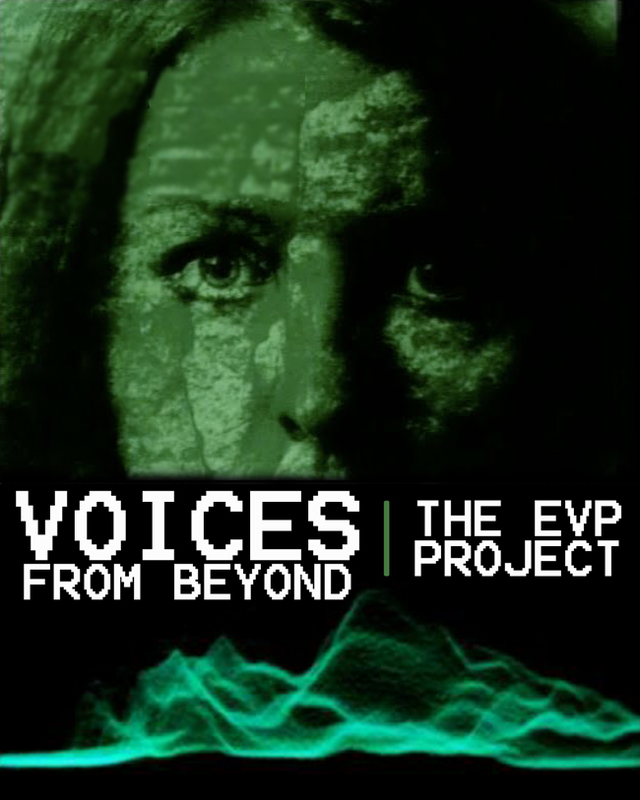 EVP is the process of using technological apparatuses – recording devices, radio broadcasts, telephones, video static, computers, white noise – to allow for communication with the spirit world, or with alternate dimensions. The third floor of our POP Quarters building will be decked out in creepiness throughout the fest, with an opening vernissage from 5-7pm on Wednesday September 25th that includes a live performance piece by Doreen Girard. Tibor Takács | Canada 1978 | 76min. As part of the Sitges International Fantastic Film Festival (Oct 11-20, 2013), Spectacular Optical head and FANGORIA online director Kier-La Janisse will be appearing on a panel about women in horror throughout history, with a special emphasis on Spanish cinema. Night Visions Film Festival is the biggest and the oldest festival in Finland to focus on horror, fantasy, science fiction and action cinema. The festival is arranged twice a year in the heart of the city of Helsinki, the capital of Finland. The Spring edition takes place in April and the Fall edition around the Halloween celebrations in October/November. The annual lineup of the festival consists of a total of roughly 60 feature films. The festival has been organized since 1997 by a non-profit organization called Night Visions – Yon Kuvat ry. The public main supporters of the event include the Finnish Film Foundation and the Cultural Office of the city of Helsinki. 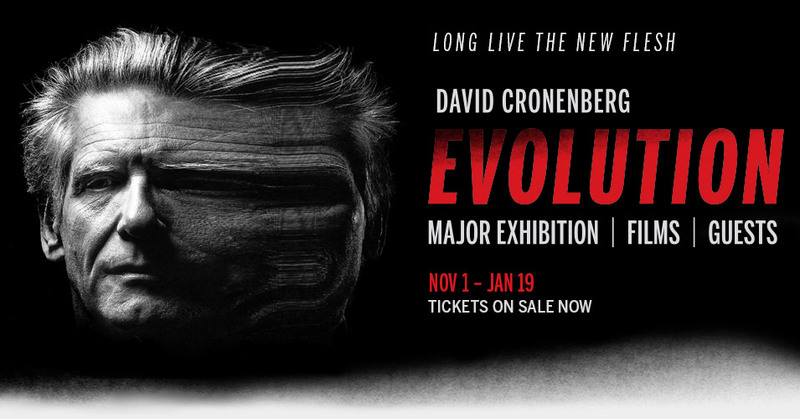 The Toronto International Film Festival's TIFF Bell Lightbox Theatre has mounted an historic multimedia exhibition devoted to the career of David Cronenberg, featuring original props and costumes, virtual reality digital exhibits, live interviews and masterclasses, and of course film screenings from Cronenberg's entire oeuvre alongside an amazing selection of contemporary body-horror titles curated by TIFF's Colin Geddes. 'A FIEND IN THE FURROWS' Folk Horror Conference - Call for papers! ‘A Fiend in the Furrows’ is a three-day conference in association with the School of English at Queen’s University Belfast, exploring British “folk horror” in literature, film, television, and music. The event will include academic papers, film screenings, musical performances, and readings. Supernatural and horrific aspects of folklore inform the Gothic and weird writings of M.R. James, Arthur Machen and Algernon Blackwood, where philosophical and religious certainties are haunted and challenged by the memory of older cultural traditions. Folklore has a profound and unsettling impact on the imaginative perception of landscape, identity, time and the past. Folk memory is often manifested as an intrusive and violent breach from an older repressed, ‘primitive’ or ‘barbarous’ state that transgresses the development of cultural order. Gothic and weird fictions are burgeoning as the focus of serious academic enquiry in philosophy and literary criticism, and the genres continue to have an impact on popular culture. Through the writing of Nigel Kneale and Alan Garner, among others, the tradition has influenced British horror cinema and television, being revived and reimagined in films such as Quatermass and the Pit (1967), The Devil Rides Out (1968), Witchfinder General (1968), Blood on Satan’s Claw (1971), The Wicker Man (1973), and more recently in Ben Wheatley’s Kill List (2011) and A Field in England (2013). The conference will examine “folk horror” texts, films and music in their period context and the implications for British culture’s understanding of its own unsettled past. folkhorror@qub.ac.uk – by 1st June 2014.
at the Leeds International Film Festival! Originally conceived as a television series, Borowczyk's two Kabal films are absurdist animated cut-up fantasies featuring a domestic couple who are both constantly at war and very much in love. First seen in the 1962 short, The Concert of Mr and Mrs Kabal, Borowczyk followed up with the expanded feature version Mr and Mrs Kabal's Theatre, a grotesque yet strangely touching black comedy, eschewing straightforward narrative and dialogue in favour of sparse, coarse graphics spliced with gloriously kitsch live action colour inserts of Mr Kabal's fantasies of extramarital affairs. Blanche is one of the underrated masterpieces of world cinema and probably Polish master Walerian Borowczyk's greatest film. A spare and understated filmic style, immaculate design and cinematography elevate a medieval melodrama to an eerie and resonant cinematic experience highly influential on later generations of directors from Terry Gilliam to Neil Jordan. Borowczyk's wife, Ligia, gives a heartrending performance as Blanche, the young, beautiful wife to a senile baron, played by the legendary Michel Simon. When an amorous king pays a visit, he and his philandering page fall under her spell. Polish filmmaker Walerian Borowczyk is one of the most influential animators of the twentieth century inspiring filmmakers like Jan Svankmajer, David Lynch and Terry Gilliam. Here we present a selection of nine of his greatest short films including Grandma's Encyclopaedia, which animates cut outs from Victorian encyclopedias. Renaissance features a scene of wrecked, handmade objects gradually reconstructing themselves into a still life composition before exploding once more. The Game of the Angels evokes de Chirico and Magritte to describe the concentration universe of death camps and the Gulag. A brand new documentary on the Polish painter, sculptor and filmmaker Walerian Borowczyk. In hospital in 2001, Borowczyk made a list of the objects from all his films which he used to bring order to the chaos, symbolically putting his own life in order. Using the list as a starting point, Obscure Pleasures offers a portrait of Borowczyk that encompasses all facets of his artistic personality, including his post-impressionist paintings, socialist realist drawings, film posters, groundbreaking animations, revolutionary short films not to mention the taboo busting films from the 1970s onwards. I've been invited to Melbourne Australia by curator Briony Kidd of the STRANGER WITH MY FACE Festival for various events related to my book House of Psychotic Women, as part of MONSTER FEST as well as STRANGER WITH MY FACE's ongoing Horrormatheque screening series. I'll be signing books at all events while supplies last. A panel discussion about gender and the horror genre in 2013, moderated by SWMF programmer Briony Kidd. This event is part of the[nbsp]Stranger With My Face short films program at Monster Fest 2013. Our speakers will share their perspectives on questions such as trends in horror, the rise of the female director, sexism in genre and more. One of the most subtle masterpieces of 70s genre cinema is John Hancock’s moody, ethereal Let’s Scare Jessica to Death starring Zohra Lampert as a young woman recently released from a mental institution. Her husband’s bright idea is to move to a new home so that his wife can “get better” – in this case an imposing, labyrinthine house on a remote apple farm, far removed from New York City. Jessica is fascinated by rumors about the house’s previous inhabitants, the Bishop family, whose 20-year old daughter Abigail drowned in her wedding dress in the cove behind the house. Abigail’s body was never recovered, and the townsfolk believe that she is still alive, roaming the country as a vampire. When a transient hippie named Emily comes to say with them, these vampiric myths intertwine with Jessica’s increasing view of Emily as a predator who wants to steal away her husband and keep Jessica a prisoner on the farm. As Jessica’s visions intensify, she finds it harder and harder to maintain any front of normality. With actress Jacki(e) Kerin in person! In New Zealand-born commercial director Tony Williams’ only foray into the genre, Jacki Kerin stars as Linda, a young woman who comes back to smalltown Australia to inherit the sprawling retirement home ‘Montclare’ that her now-deceased mother had operated for more than 30 years. Still deliberating whether or not to sell the property, she takes over as directress. The shadow of her mother looms over the house – Linda describes her as “unreliable, unpredictable, crazy”, and an expert keeper of secrets. Now that her mother is dead, those secrets can all be found in the wealth of personal diaries she left behind, and Linda spends nights poring over them. They describe a woman terrorized by strange noises in the house, unable to sleep, lights going on and off, taps left running in the bathrooms. The delusions plaguing her mother start to affect her as well – she is convinced that someone is watching her, that people are dying around her, and that a macabre conspiracy is afoot. The camerawork (by award-winning DP Gary Hansen) and the pounding, anarchic score (by krautrock wunderkind Klaus Schulze) frame Linda as mentally disturbed, with slow-motion and alternately low- and high-angle shots that show her as a body out of control, engulfed by the threatening space of the house. Stranger With My Face Horror Film Festival is run by filmmakers Briony Kidd and Rebecca Thomson and a team of dedicated volunteers. Deriving its name from the young adult novel by Lois Duncan, it explores the idea of ‘the horror within’ and promotes discussion around genre and gender, from ghost stories to gore, from art house to exploitation. SWMF has a particular focus on female directors working in the genre and aims to highlight bold new work by independent filmmakers. MONSTER FEST is a partnership between Melbourne’s iconic Cinema Nova and Monster Pictures, Australia’s most notorious film distributor.